The Rosette Nebula, a stunning emission nebula at the edge of a large molecular cloud in Monoceros, some 5000 light years away. Its flowery appearance is sculpted by the winds and radiation from its central cluster of hot young stars. 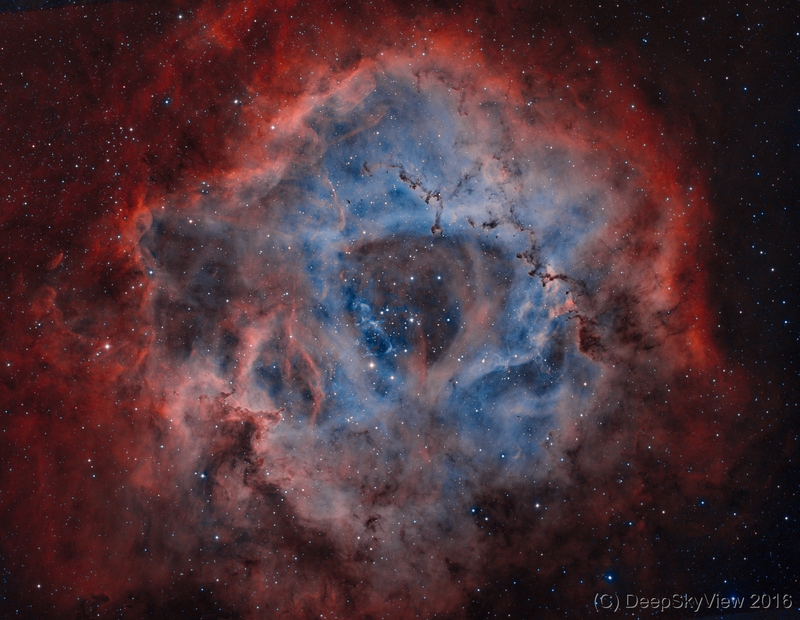 This is a narrowband composite from (16,16,20) x 1800 sec exposures in Ha, OIII, and SII. Data taken at the Deep Sky West Observatory. Make sure to look at the full-size image.